This is like the first pic Ive taken since I bought it,lol. I gotta show it some love too. Just been cleaned. Nice truck. You could have had a chevy lol JK. lol, I like all the big name, the only trucks I dont like are toyota. I grew up driving Old chevy trucks and camaros. 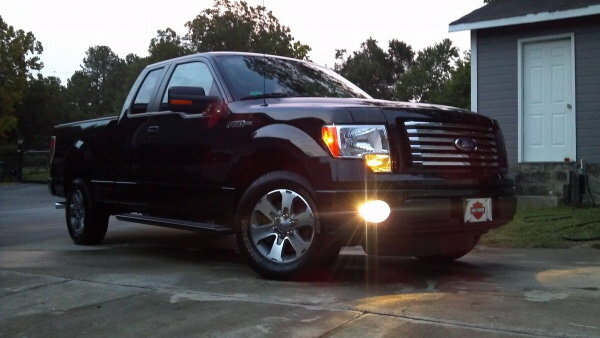 this is the first ford Ive actually had besides the 59 fairlane I had for a short time. Ive been more than pleased with this truck and its 3.7 set up. for has done there homework on these trucks, and thats coming from a guy thats always had a chevy. I am a long time Ford hater but I must admit I do like some of there new stuff...heck I even kinda like the last two models of mustangs...though if I had the choice I would still pick the camaro over the stang any day. As much as I hate to admit it seeing that I'm all about GM products... my next truck will probably be an f-250 or f-350 crew cab 4 wheel drive.